The Dean, Faculty of Law of the the Ambros Alli University in Edo state, Professor Suny Edeko, has distanced himself from the strike action declared by the leadership of the Academic Staff Union of Universities ASUU on November 4th. 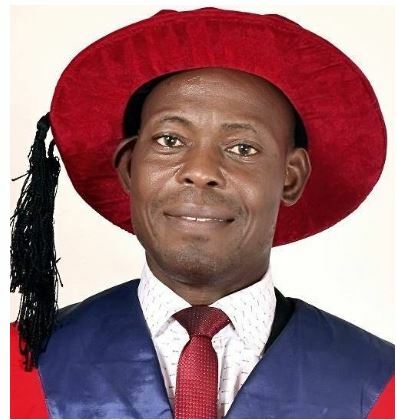 In a post shared on his Facebook page this morning, Professor Edoko says strike is an outdated means of negotiation by the professors of negotiations. He faulted claims by ASUU leaders that the universities are underfunded. In his opinion, all sectors in Nigeria are underfunded but the most important question is what had been done with the past funds allocated to Universities. Read his piece below…. There are several reasons why I will not go on strike. They are all important but the most important is that strike is an outdated means of negotiation by professors of negotiation. Strike is like an expired and fake drug that can only complicate the health of the ailing baby and possibly kill the baby. If we want to inject potent elixir into the ailing baby, we must look towards other directions other than strike. Please read the whole story and find the reasons for the strike before you comment: “The strike is to protest the poor funding of Nigerian universities and alleged plan by the federal government to increase students fees and introduce an education bank.” There are a few reasons why I will not support the strike. Firstly, there is no sector in Nigeria with adequate funding. I am sorry to say that even in a corrupt place some people feel they don’t have enough to loot. In the area of funding, note that all institutions in Nigeria deserve better funding. However, with negotiations, the Federal Government of Nigeria is fully involved in developing all higher institutions in Nigeria including those owned by the States. For example, in a state university headed by one digital vice-chancellor, the federal government presence includes (a) Twin Lecture Halls Building (b) about 1000-Seat capacity NLT (c) ICT Centre Building (d) ENT Building (e) Library Building Rehabilitated (f) Faculty of Law Rehabilitated (g) Engineering Faculty Building (h) Faculty of Arts Building (i) Faculty of Life Sciences (j) Faculty of Social Sciences (k) Faculty of Physical Sciences (l) Faculty of Management Building about to start (m) Faculty of Education Building about to start (n) 1000-seat capacity University Main Auditorium (o) Law faculty Auditorium (p) Overseas scholarship for lecturers from which my friends have benefited and (q) many more I have lost count. And this is a state university, not federal. The Federal Government is trying although things always remain to be done even in rich countries. Note that the above things are being done by the FGN in state universities and state colleges of education and Polytechnics. Secondly, as for schools fees, I share the view that all Nigerian students deserve free education up to Ph.D. level. In federal universities where it is alleged that they want to increase school fees, depending on the university, students pay between N30,000 and N60,000 per annum. Why should I go on strike for such students when fresh students in Osun State University pay N253,000 and we are not going on strike for them. Many state Universities students pay between N100,000 and N200,000.Nobody is going on strike for them but we want to embark on strike for students in federal universities who pay lesser school fees that even if fees are increased they may never be up to N100,000. Thirdly, Education Bank was created by a law of the National Assembly titled The Education Bank Act, Cap 422 Laws of the Federation 1990. The long title states that it is an Act to establish the Nigerian Education Bank to approve and disburse loans for educational purposes and for matters incidental to it. If there is such a bank and it is not working well, we rather find ways to make it better and not to kill it. Fourthly, since we claim to be fighting to protect the interest of students, there should be a vote or referendum on the strike by the students so that the strike supposedly meant to protect their interest can only go ahead if those affected approve it. Students did not send ASUU to go on strike for them. Students know how to fight for their rights. ASUU,please count students out of your strike. Look for better reasons to go on strike. Fifth, strike, no matter how strong can never end plans to increase school fees or establish education bank meant for the interest of students. There are plans even in the richest countries to increase school fees. They may or may not be concrete plans. There are plans to always increase salaries in the same way there are plans to increase school fees not only in federal universities but also in state and private universities and other schools at all levels. Should this deserve a strike that will further destabilize the already destabilized academic calendar? I think it doesn’t deserve strike. But it deserves negotiations without strike. Sixth, there are many professors or scholars and experts in arbitration and conflict including labour disputes resolution with extensive skills in negotiation. They can bring their experience and expertise to light with such level of management that there may be no strike to get what you want. Please reason this again and ask yourself whether this strike is worth it. Seventh, where negotiations fail, use propaganda to ruin the government. A strong propaganda machine can make even a strong government to collapse. Use your brains in a superior way. You will be surprised more and better things will be achieved by that. Prove to the nation the brains you have.